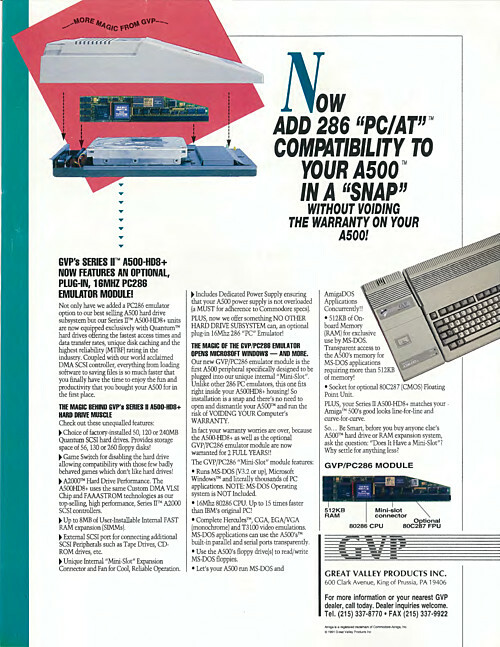 Click the image to view the “GVP PC286 Emulator Module” brochure. Title : Now add 286 “PC/AT”compatibility to your A500 in a “SNAP” without voiding the warranty on your A500! Publisher : Great Valley Products Inc.